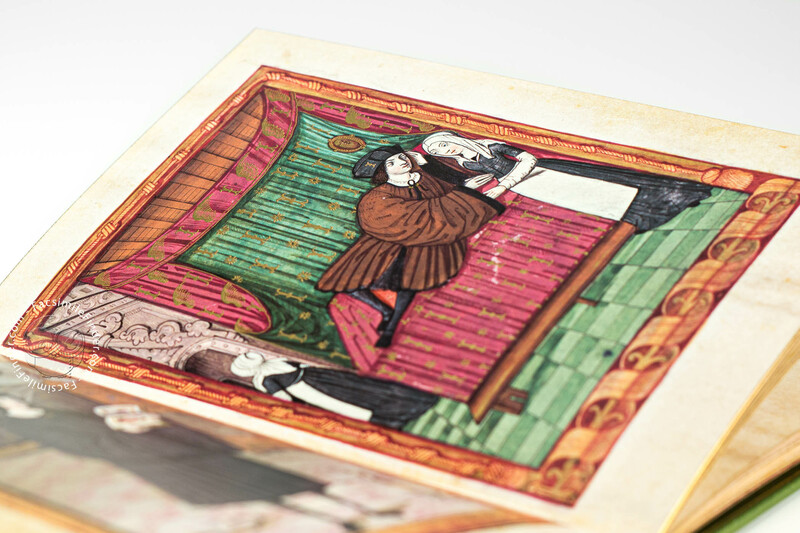 This mysterious and charming book was produced at the beginning of the 16th century: a manuscript depicting episodes of a moving love story in 15 full-page illustrations. Joyous dance scenes are shown along with the common walk through the woods, the lovers in conversation or in an intimate embrace. One image depicts the adored woman showing herself to her lover with her hair left loose; the sensuality of this gesture moves us even today. 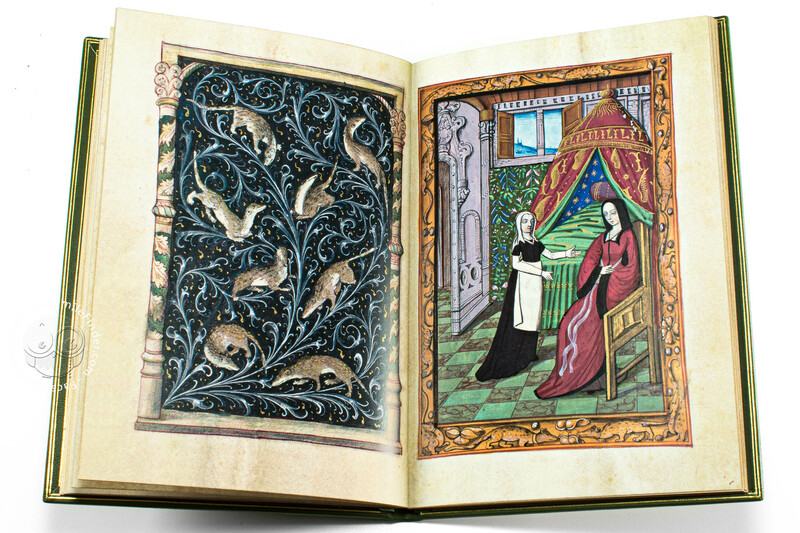 Twelve ornamental pages richly embellished with decoration and symbols complete and explain the picture cycle. 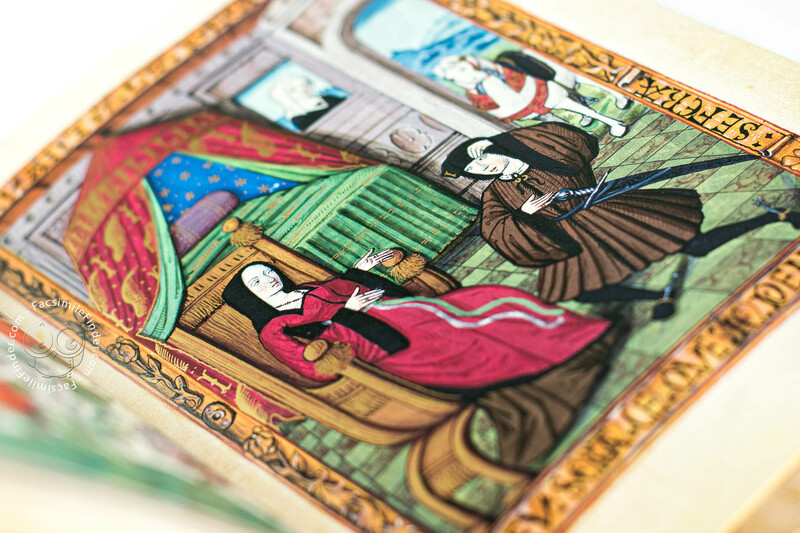 The most uncommon feature of this manuscript, however, is the fact that the artists strictly avoided the use of text – except for two sentences in the marginal borders and an enigmatic letter sequence in the book. All scenes fascinatingly describe the behaviour of lovers and their attention for each other, against the background of the courts of Western Christianity, leading us into the pre-modern world through symbols and allegories that establish a dialogue with the viewer. The painter intentionally chooses colour to convey a specific message and appoints plants and animals as representatives of certain qualities and persons, while seemingly trivial objects are used to disclose special meanings. 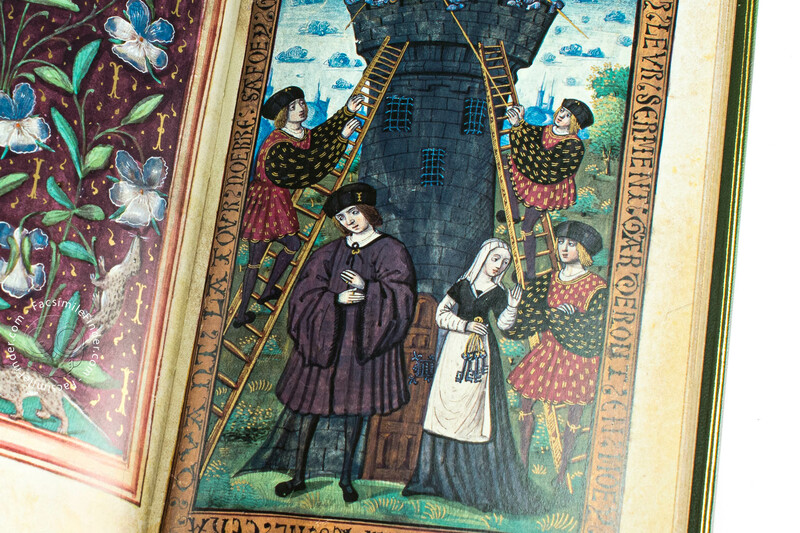 The vivid pictorial vocabulary eludes any obvious interpretation and leaves abundant space for the imagination. The artist of this picture sequence must have perfectly known how to express the loving intimacy a couple feels for one another. The elements of drawing remain in the narrative’s foreground, while the architectural perspective and careful modelling of the figures provide the background. 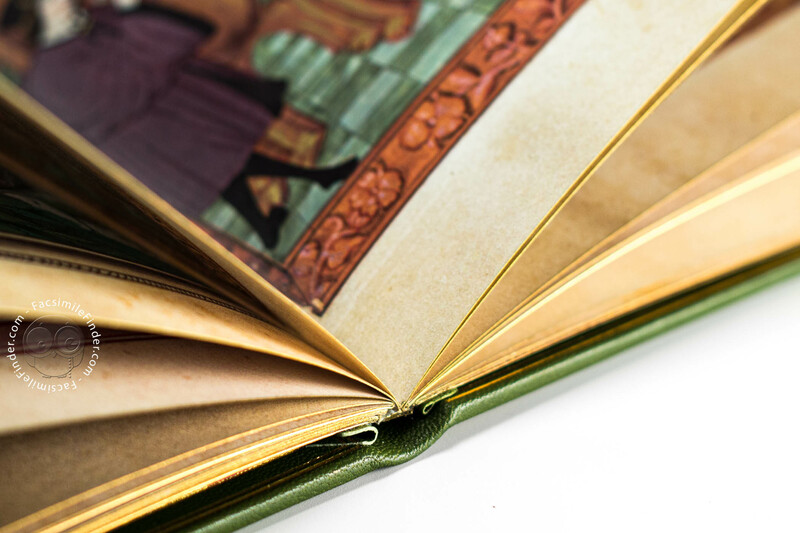 This is the secret of the illustrations that radiate a serene elegance that superbly fit the depicted narrative. 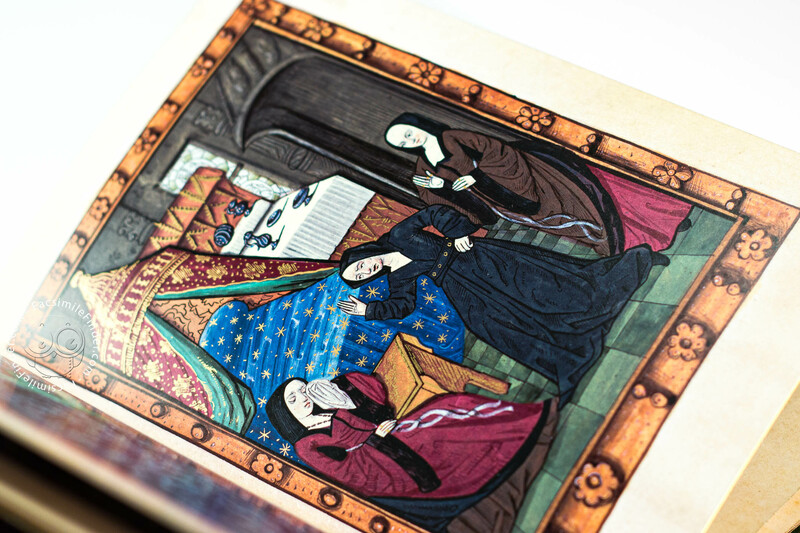 It has so far been impossible to assign the manuscript to a precise illuminator; its provenance from France, more precisely from the environment of the Brosse family, has however been secured. 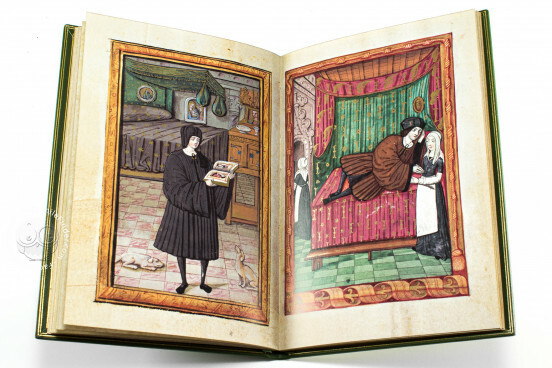 The Book of Lovers, ms. 388 of the Musée Condé in Chantilly, is a touching gem of the late era of French book painting, which, in a marvellous way and without words – but nonetheless with great eloquence – recounts the tale of two lovers while also providing a unique insight into the feelings and courtly life of the time. Manuscript book on parchment − 20.2 × 13.4 cm − 30 pp. 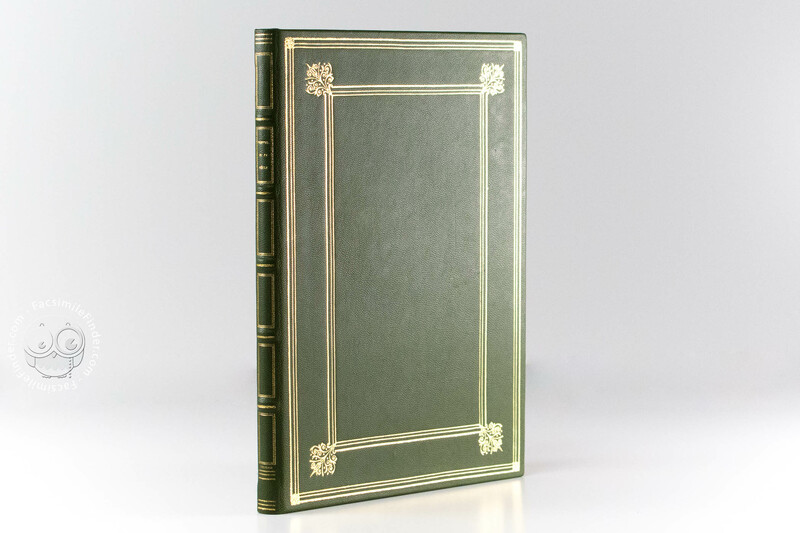 Das Buch Der Liebenden facsimile editon by Muller & Schindler. 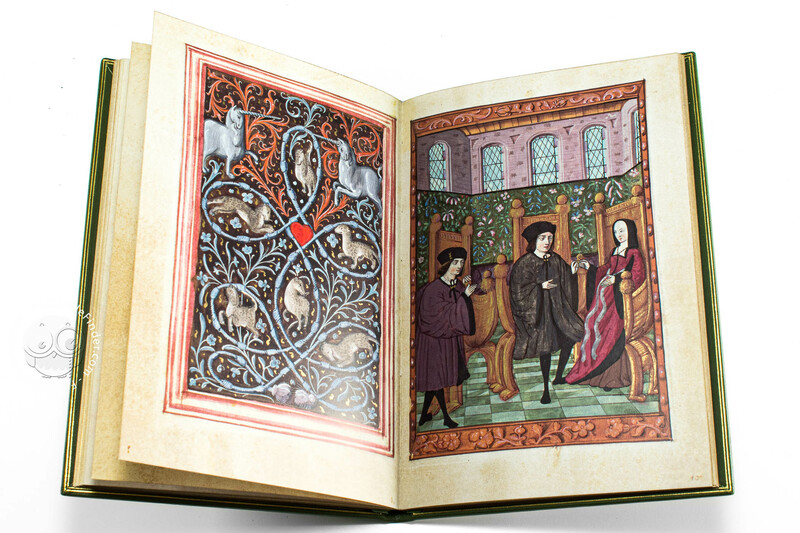 Full-size color reproduction of the entire original document, Book of Lovers: the facsimile attempts to replicate the look-and-feel and physical features of the original document; pages are trimmed according to the original format; the binding might not be consistent with the current document binding. Presented in a wooden case covered with leather and decorated with embossed impressions, together with a commentary volume. 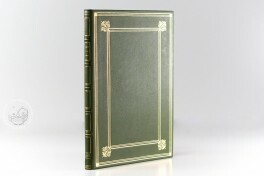 The facsimile is a co-edition by Müller & Schindler, Eikon Editores and Il Bulino edizioni d’arte. Green leather with gold tooling. 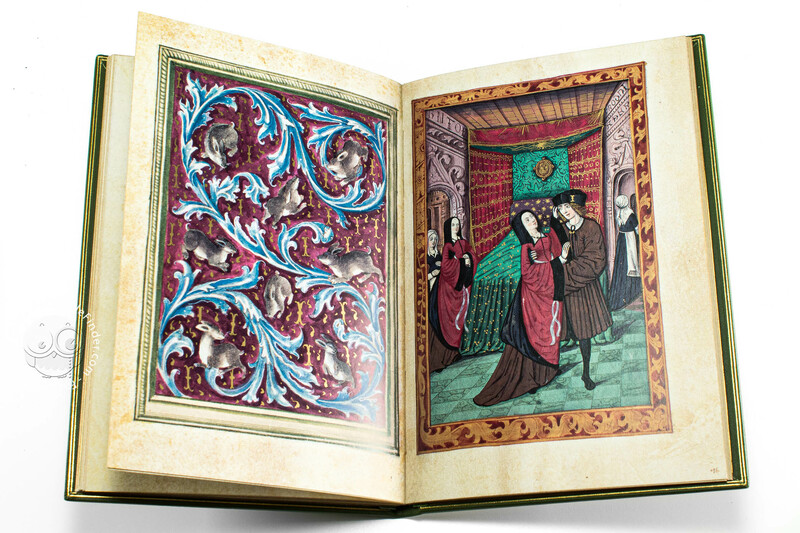 Histoire d'Amour sans paroles facsimile edition by Il Bulino, edizioni d'arte. 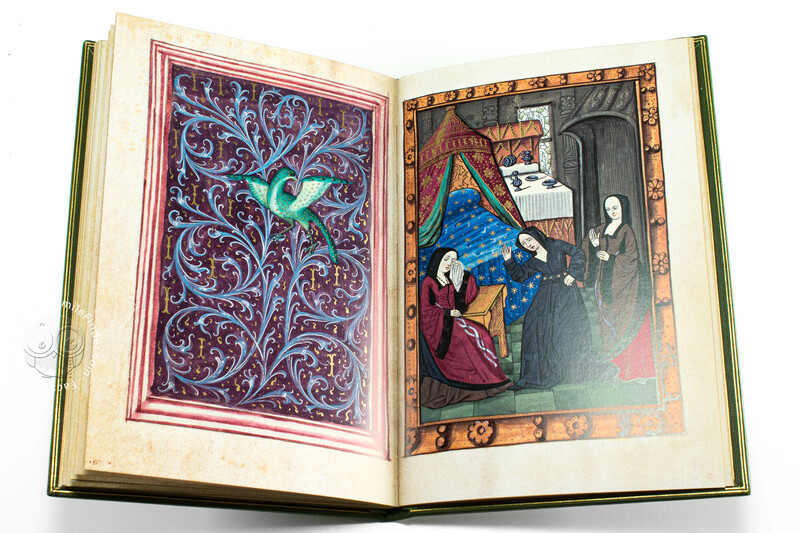 Presented in a silk, together with a commentary volume. 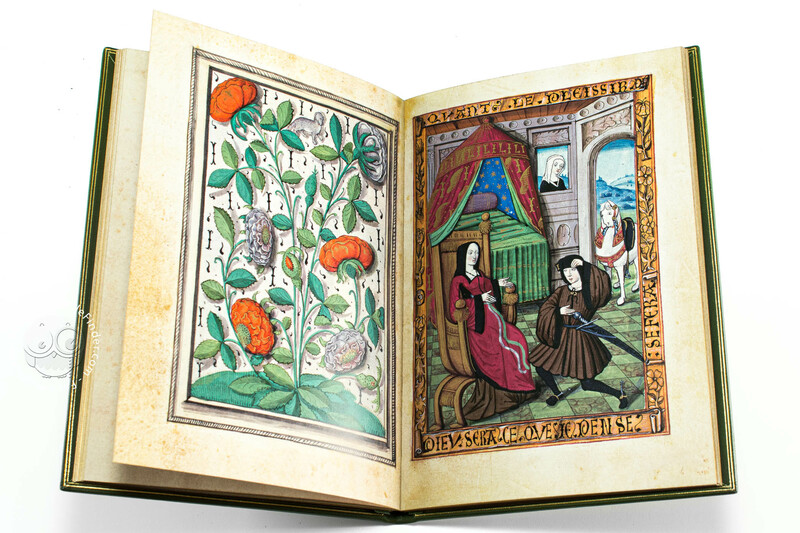 Historia de amor sin palabras facsimile edition by Eikon. 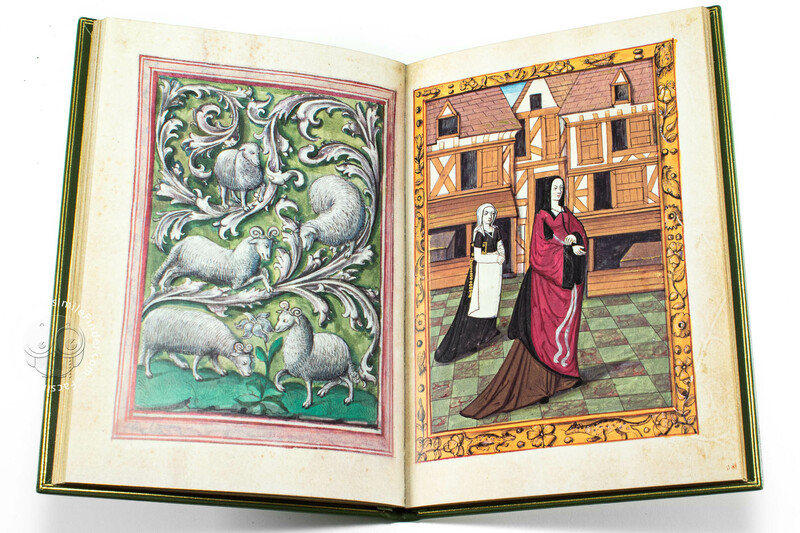 Presented in a silk case, together with a commentary volume.